There is a general consensus that technology can make a big difference to the way legal functions work. In some markets, the legal function has been working with technology for some time and they are on their second or third wave of tooling solutions. In others, legal is exploring how technology might be used and which of the many products available on the market is best aligned with their needs. With the rise of new technology such as blockchain and AI, legal functions appreciate even more the value that technology can play in their operations. Despite this recognition, the pace of adoption has been rather slow. 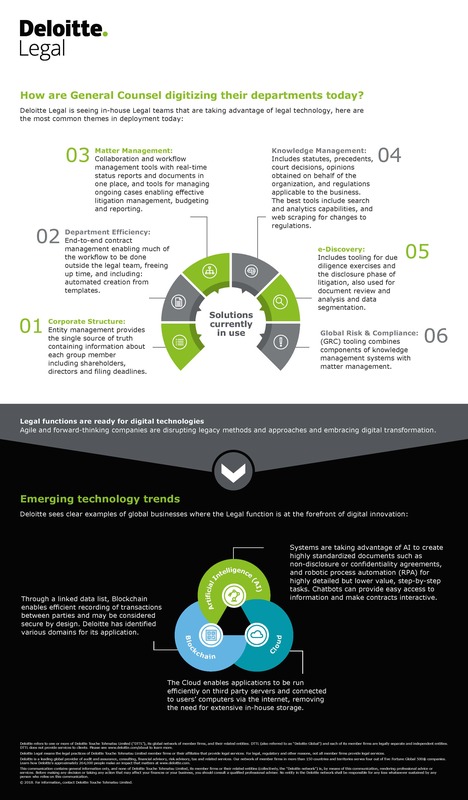 The following report and point of view paper explore the topic of digital transformation and how the legal department of the future can go beyond risk and compliance to become strategic business partners. Deloitte Legal Management Consulting team has been working closely with in-house Legal teams as they transform their operations. Forward-looking General Counsels (GCs) and their teams are developing or refining their strategies to align with the strategies of their organizations and adapting their operating models as a consequence. 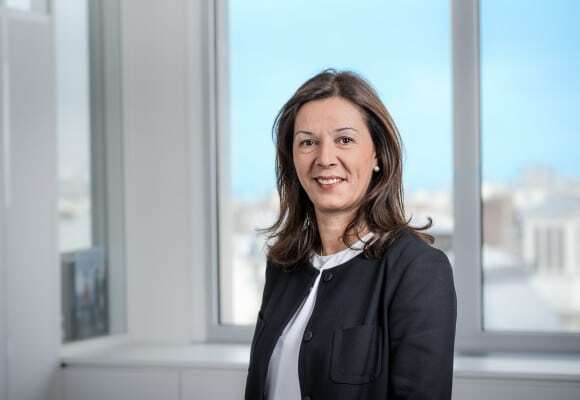 A key enabler of this transformation is making better use of advances in technology to maximize efficiency, reduce cost and free lawyers’ time to work more closely with the organization as a trusted business partner. 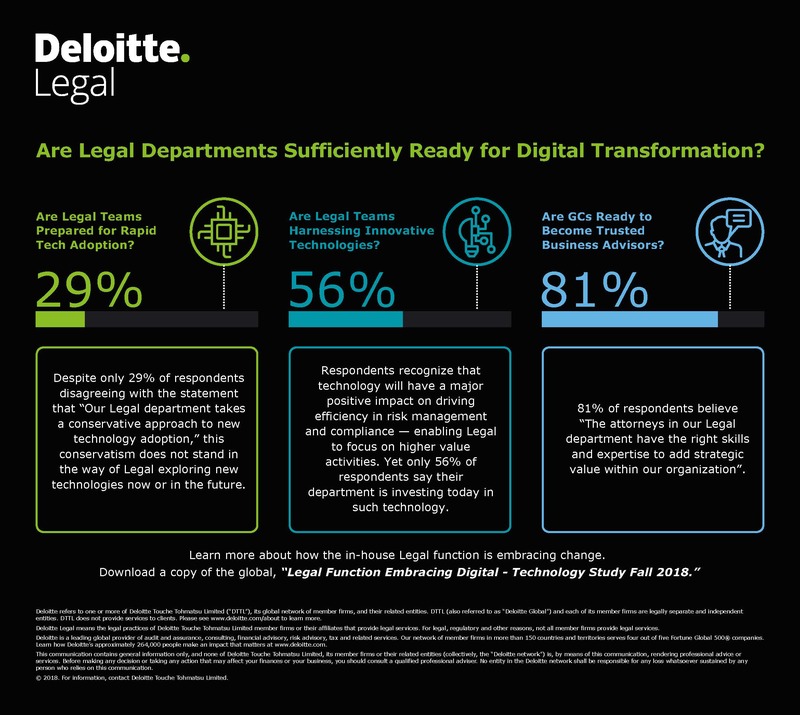 Are the Legal teams of today sufficiently prepared for rapid technology adoption to keep pace with a fast-changing world? How ready are GCs and their teams to become trusted business advisors that proactively contribute to the company's overall strategy? The General Counsel (GC) is changing from a legal expert and risk mitigator to a business enabler. The general consensus amongst GCs and their teams is that technology is going to transform the operation of in-house legal functions. 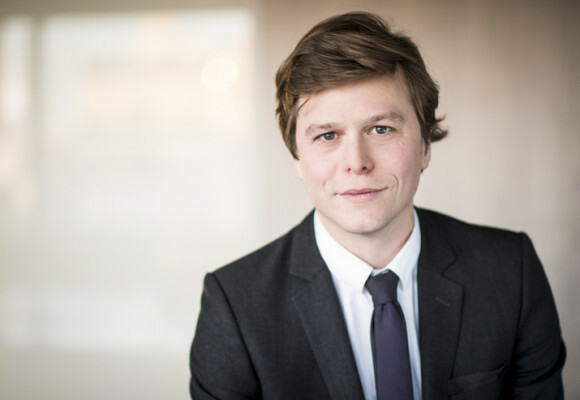 Legal functions now appreciate the volume of under – or unexploited data under their control, and they understand that valuable insights can only be extracted through the use of technology. Despite this recognition, the pace of adoption has been rather slow. In the pages of the report, we explore the challenges which are causing this, the most common uses of technology today and suggest considerations to bear in mind when embarking on or progressing with the adoption of new solutions.